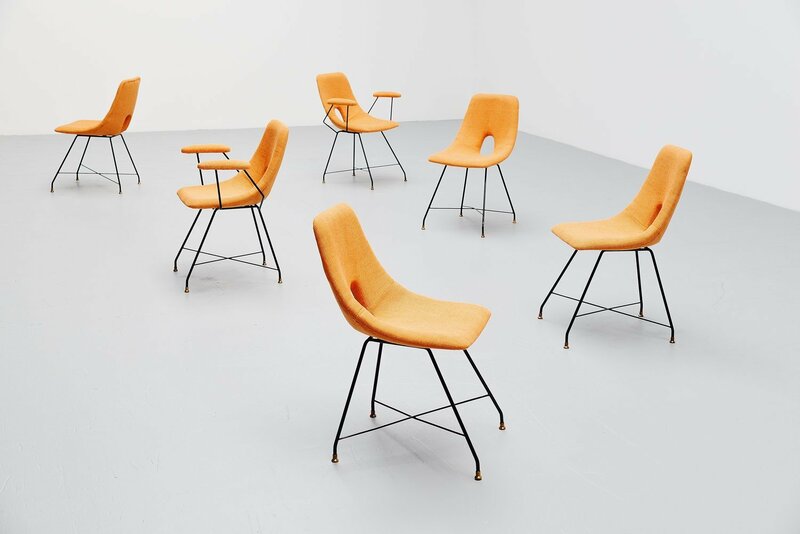 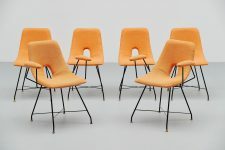 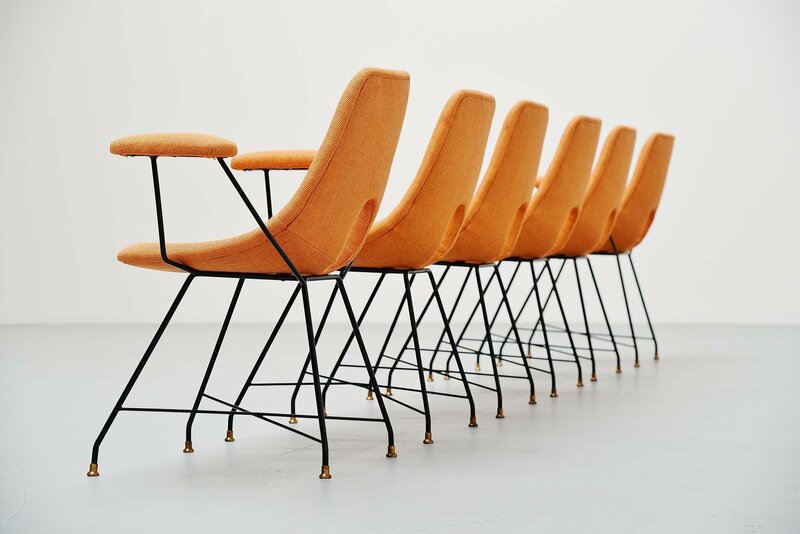 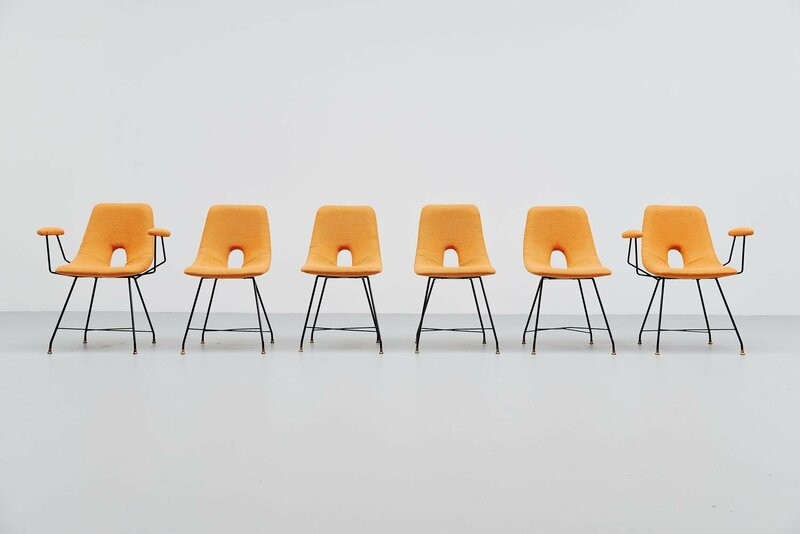 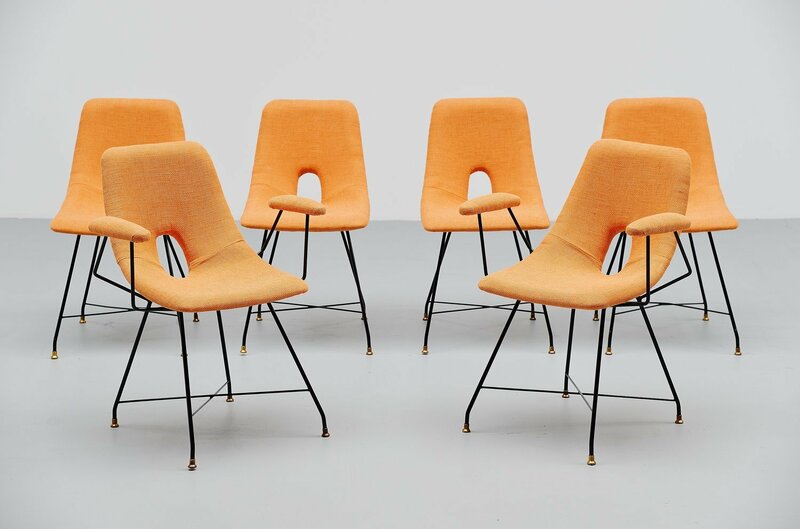 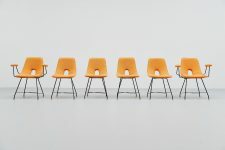 Highly rare set of 6 dining chairs designed by Augusto Bozzi for Saporiti, Italy 1954. 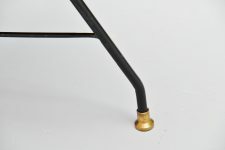 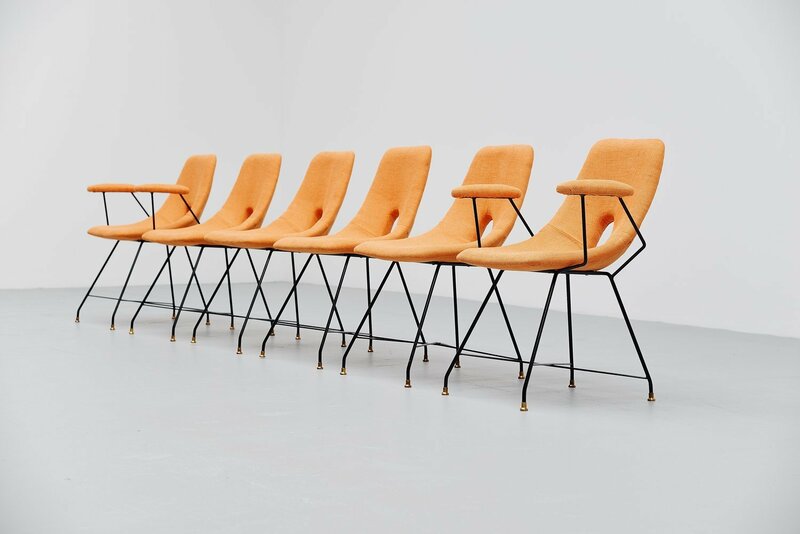 These chairs have e black lacquered metal wire frame with brass feet. 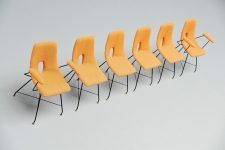 There are 4 chairs without arms and 2 with arms. 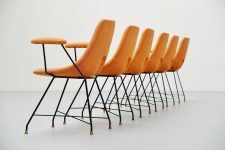 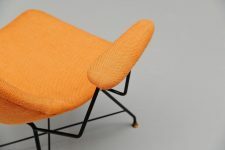 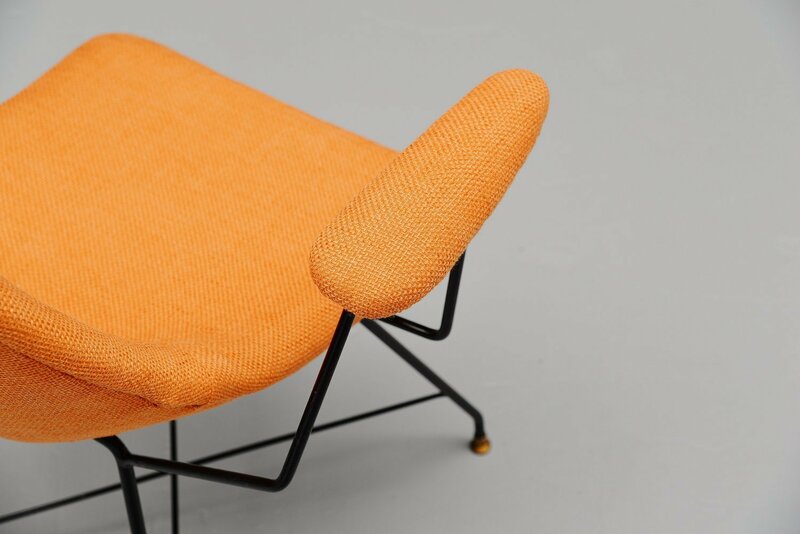 The chairs still have their original typical orange upholstery. 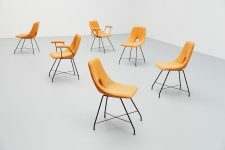 The chairs seat very comfortable and havae a very nice dynamic look. 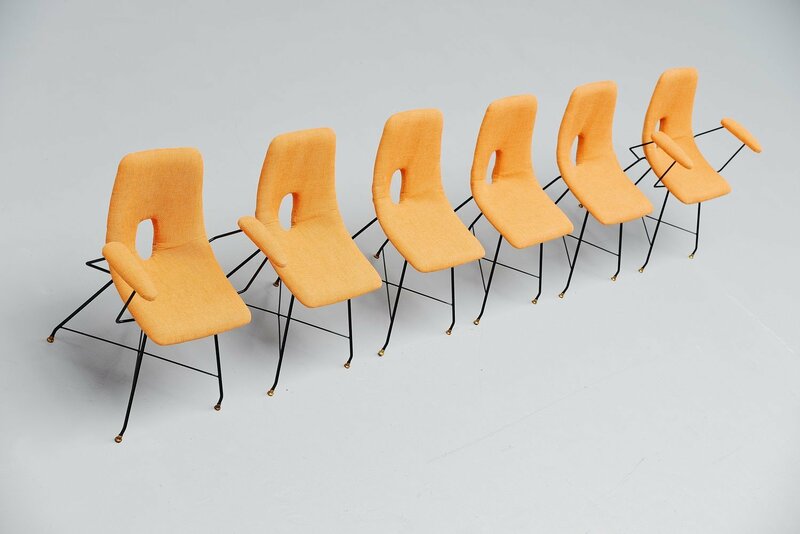 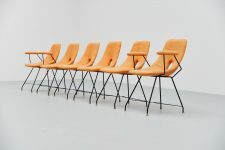 Hard to find set of 6 dining chairs by Bozzi.